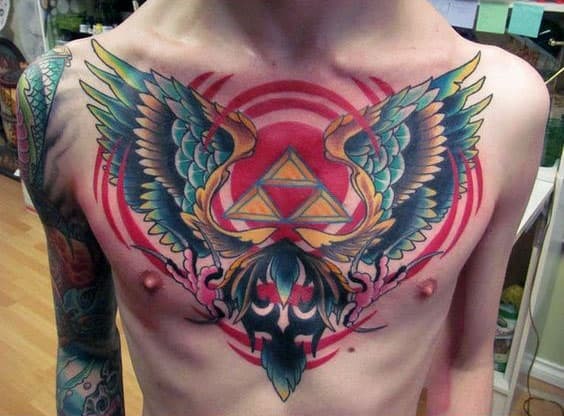 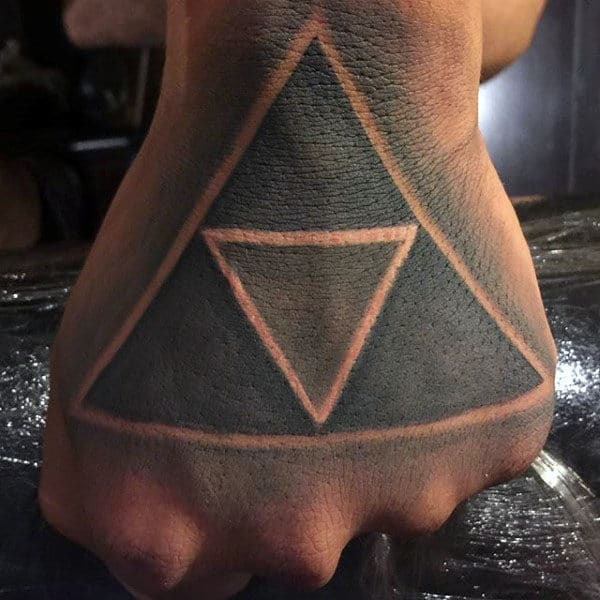 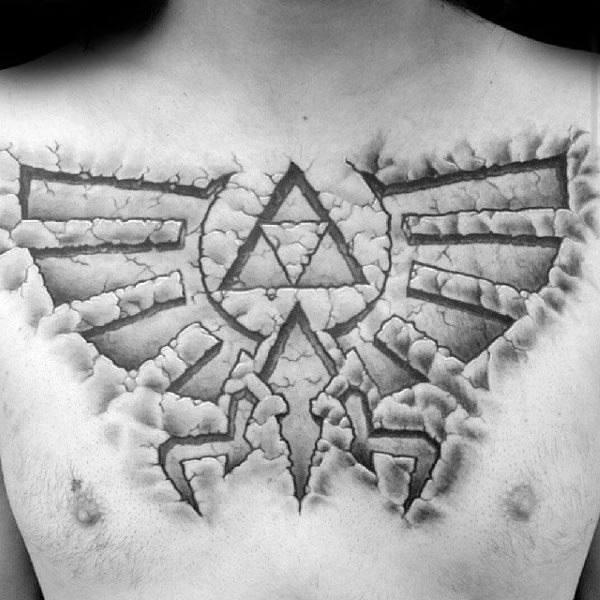 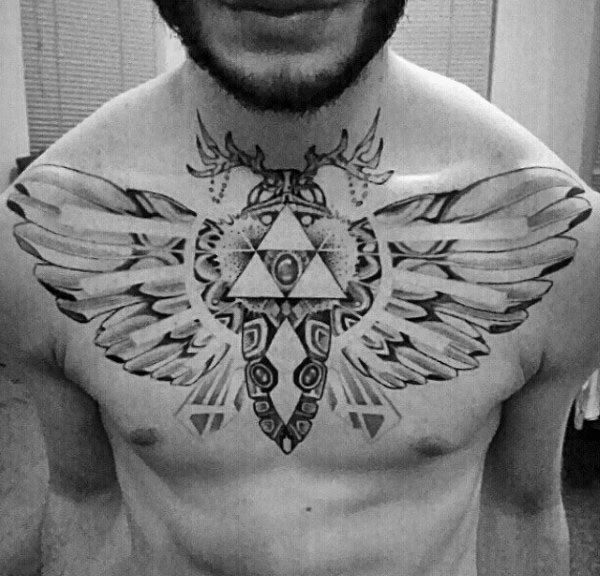 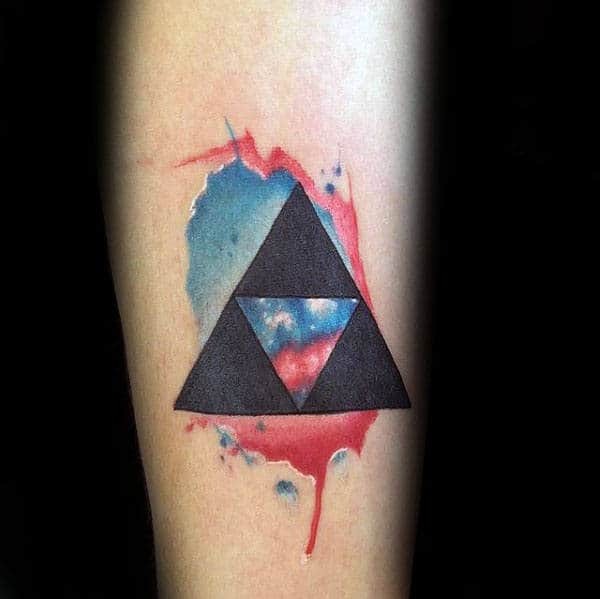 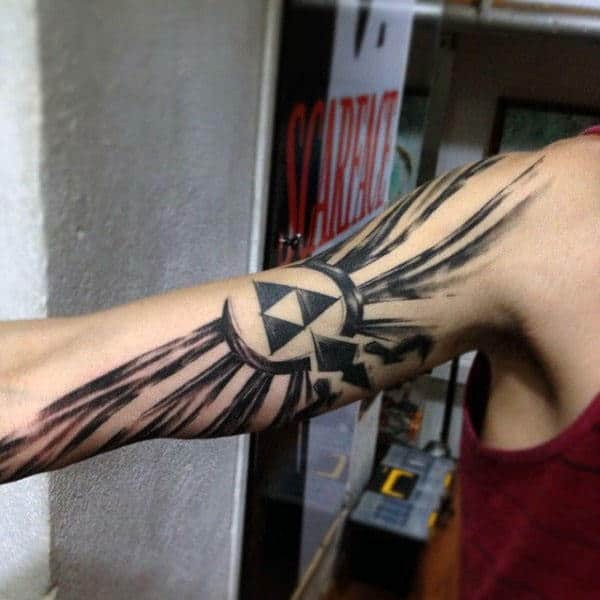 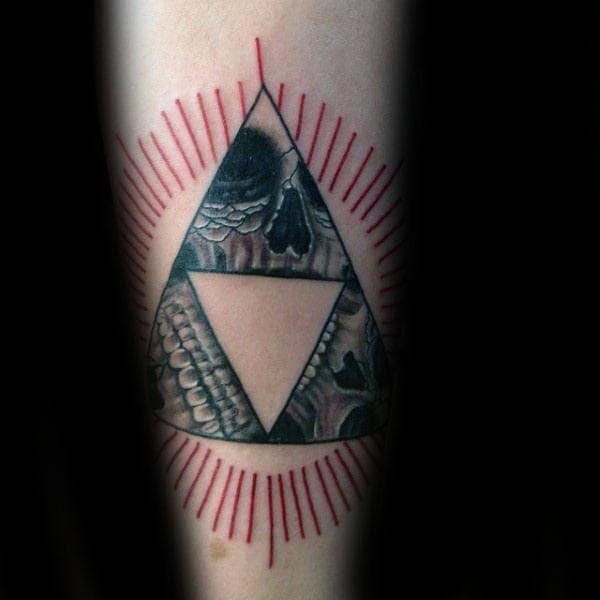 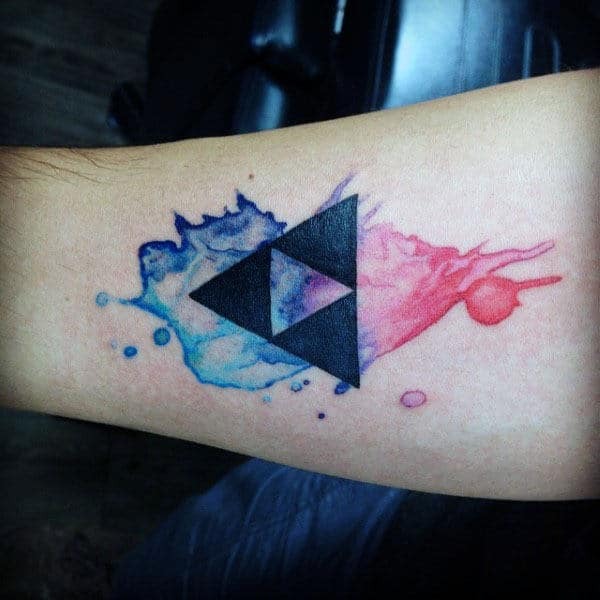 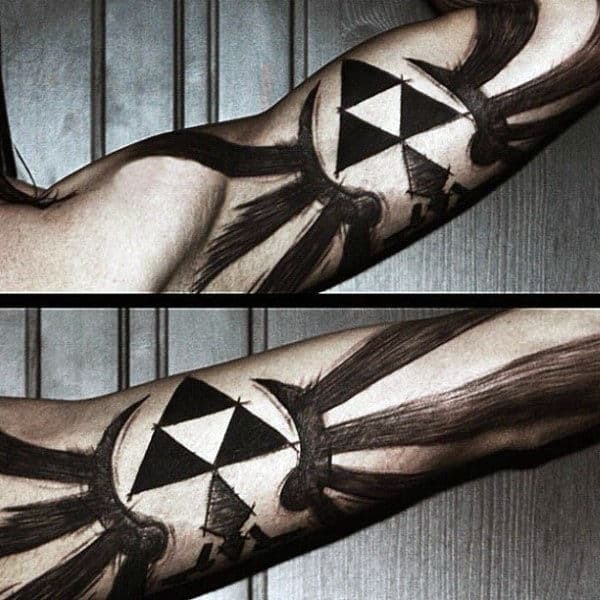 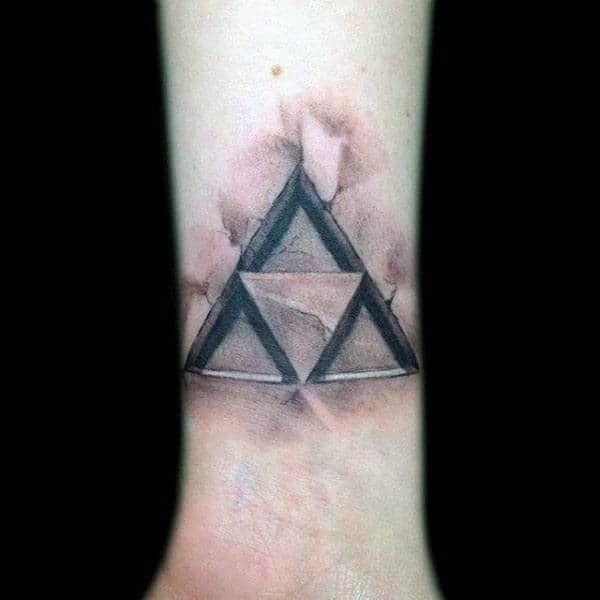 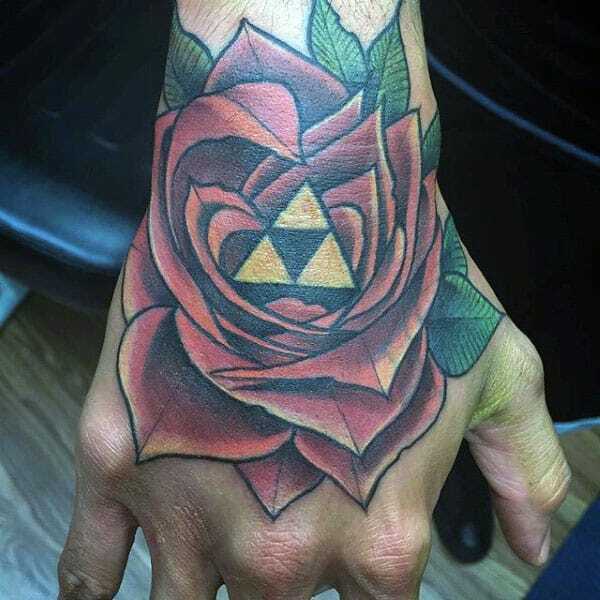 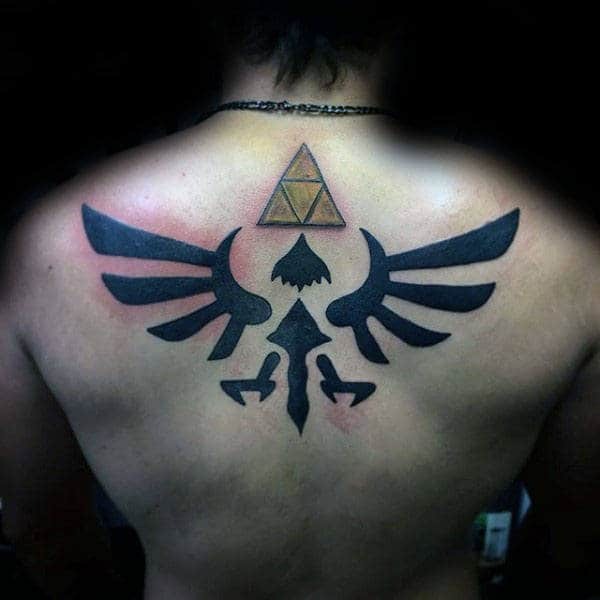 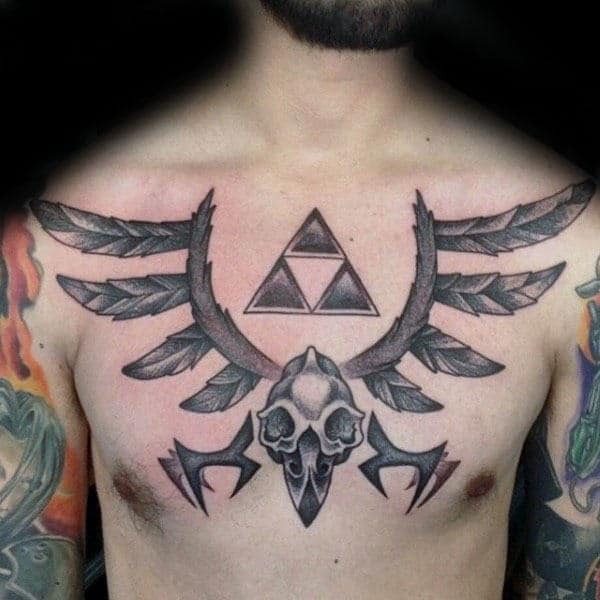 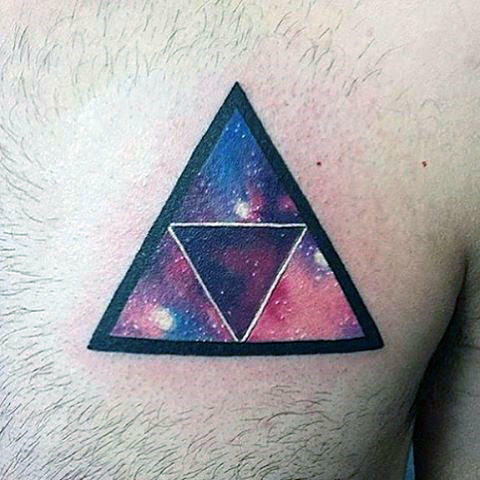 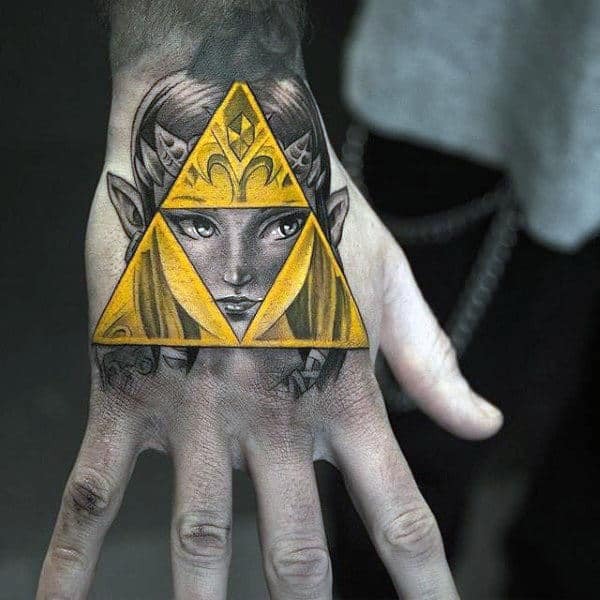 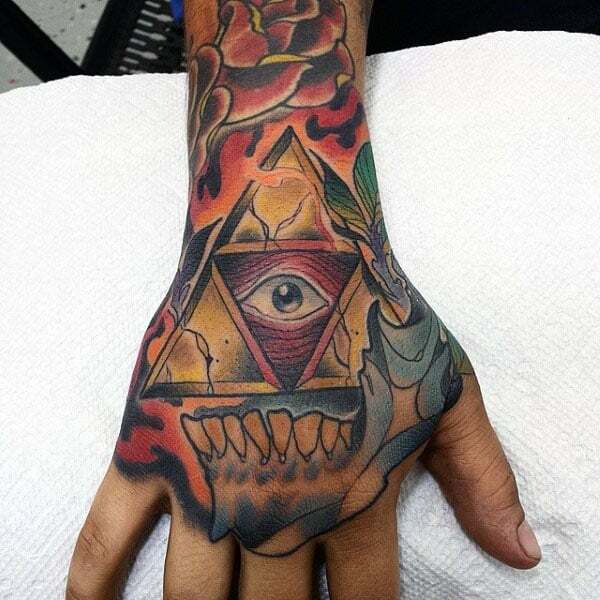 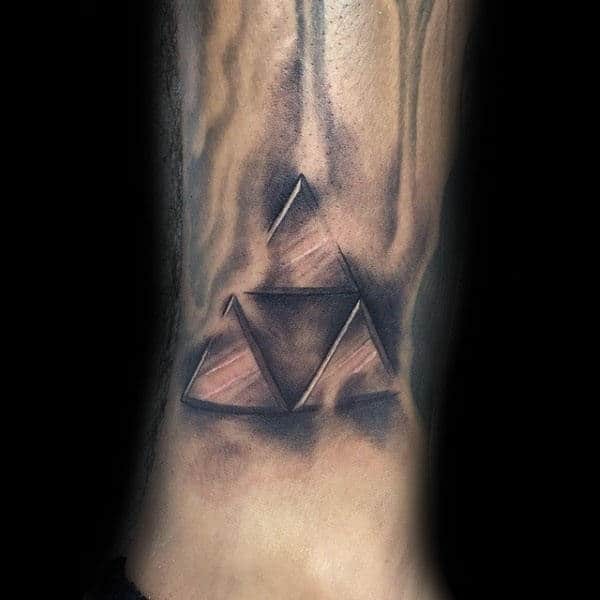 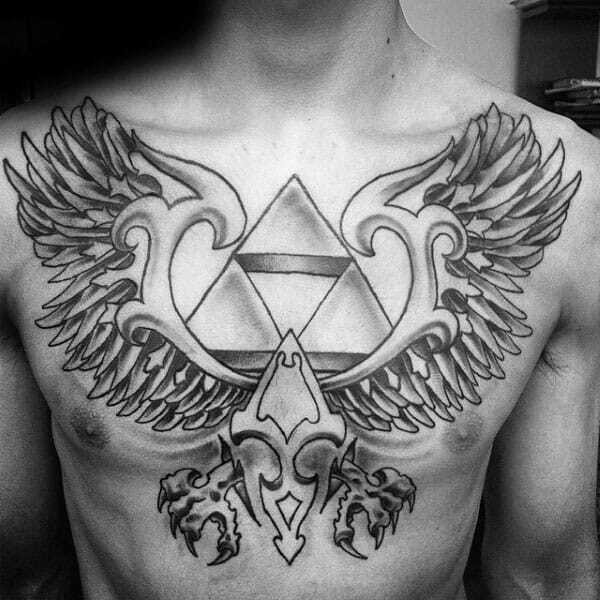 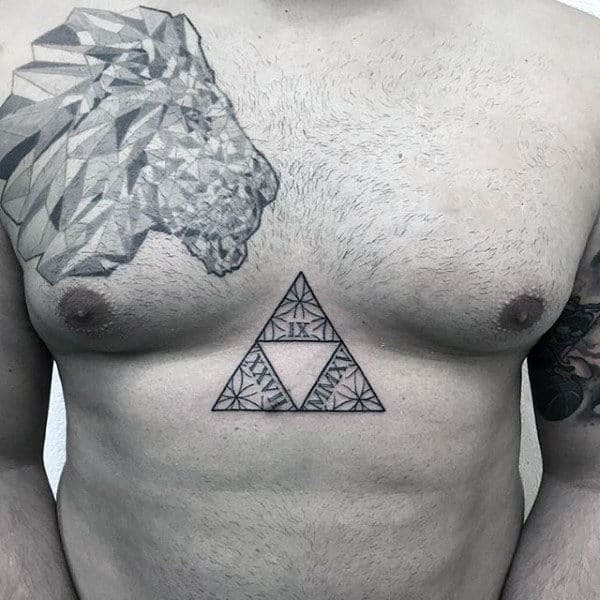 The Triforce symbol is one of the most popular contemporary icons in existence. 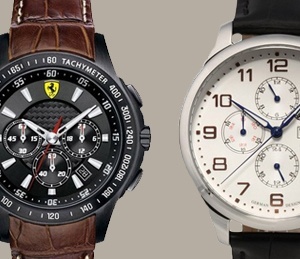 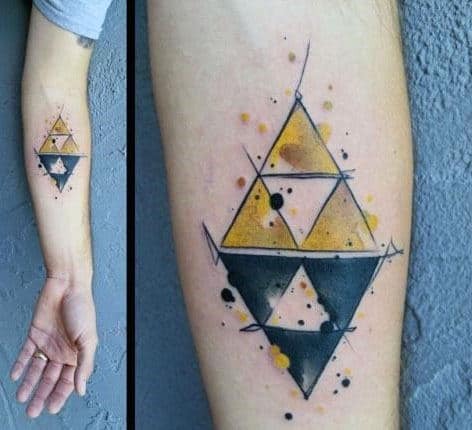 The design is incredibly basic, which is part of its beauty. 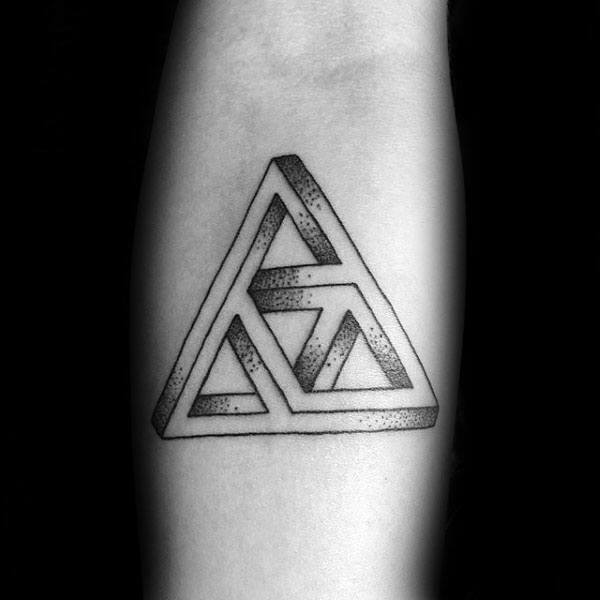 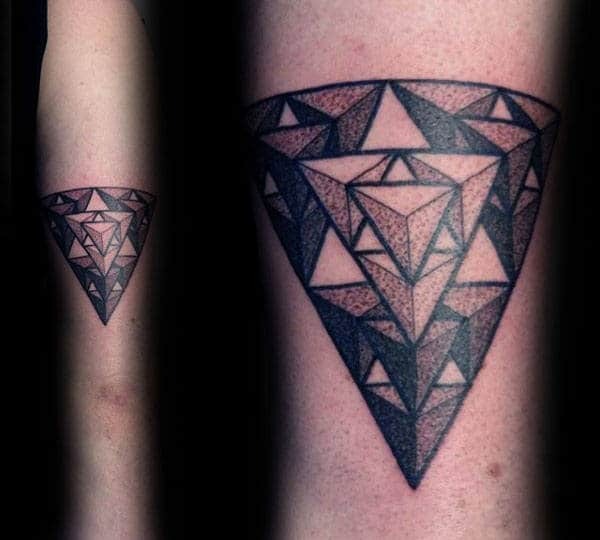 It consists of three triangles forming a larger triangle with a vacant inner triangle. 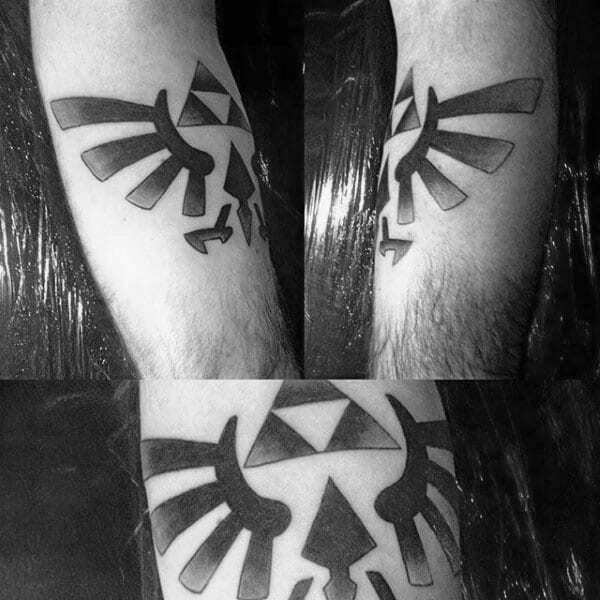 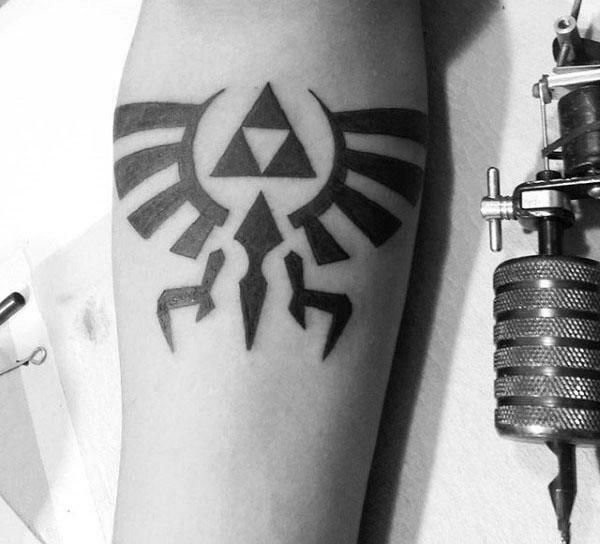 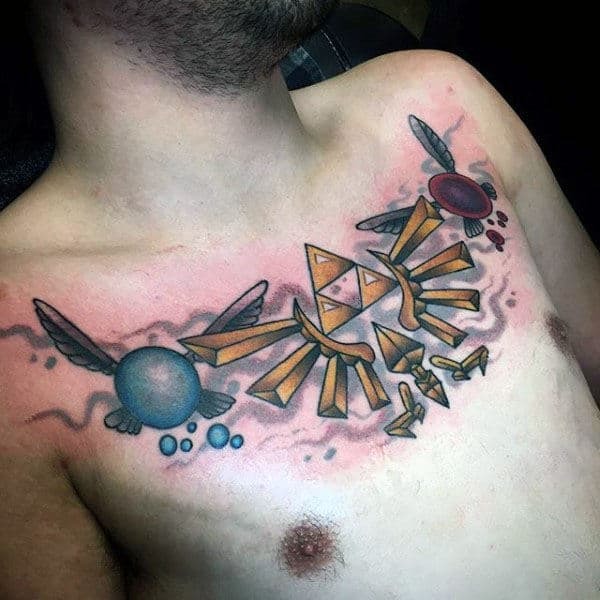 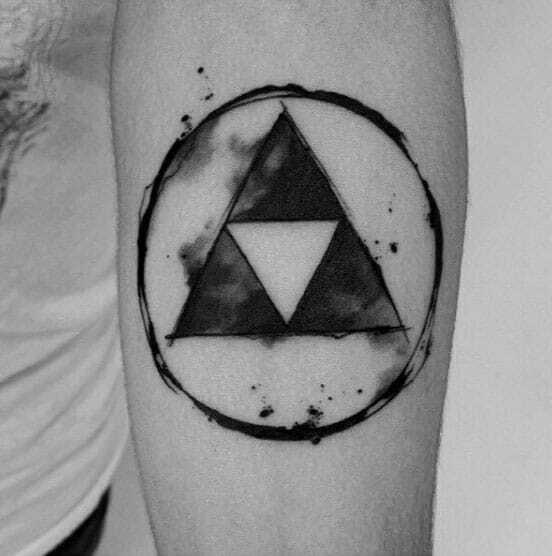 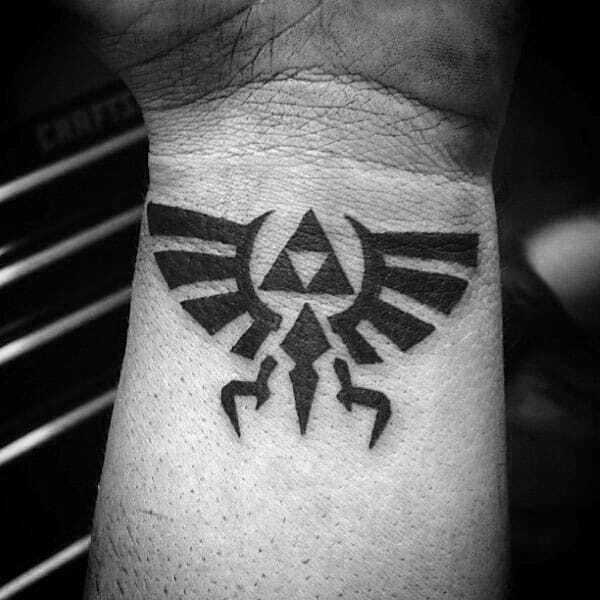 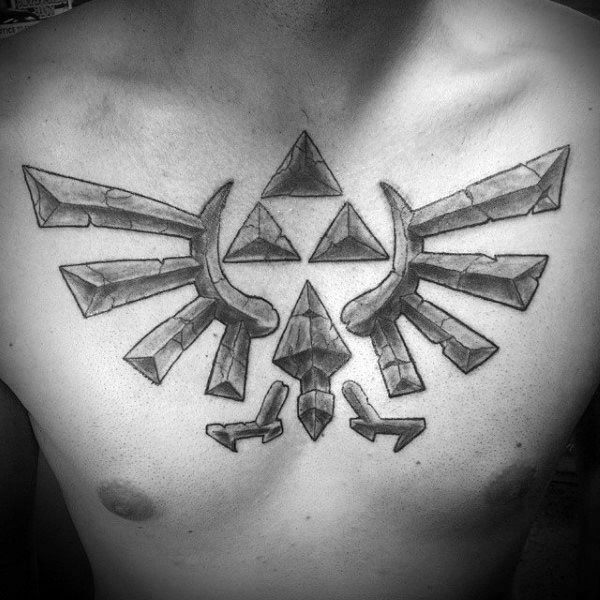 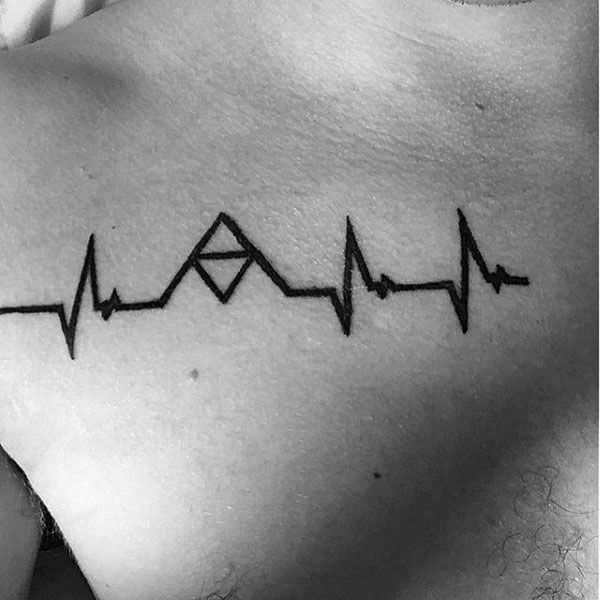 The symbol comes from the classic video game universe of The Legend of Zelda, and its most basic meaning is developed during the game. 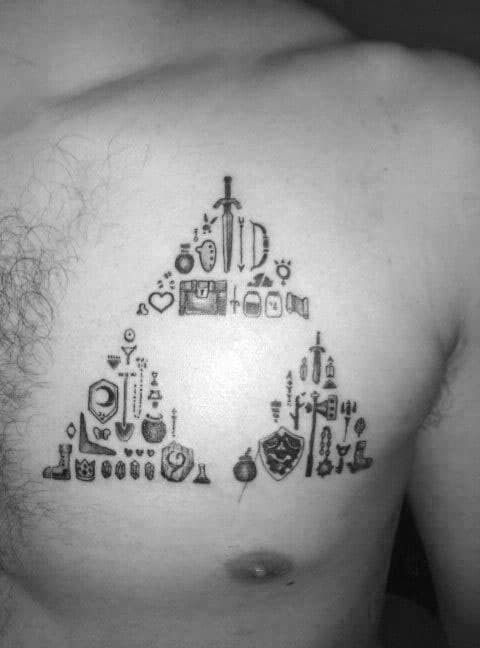 It represents the three virtues of power, courage, and wisdom, which are portrayed as the three fairy creator beings of the world, known as the Golden Goddesses. 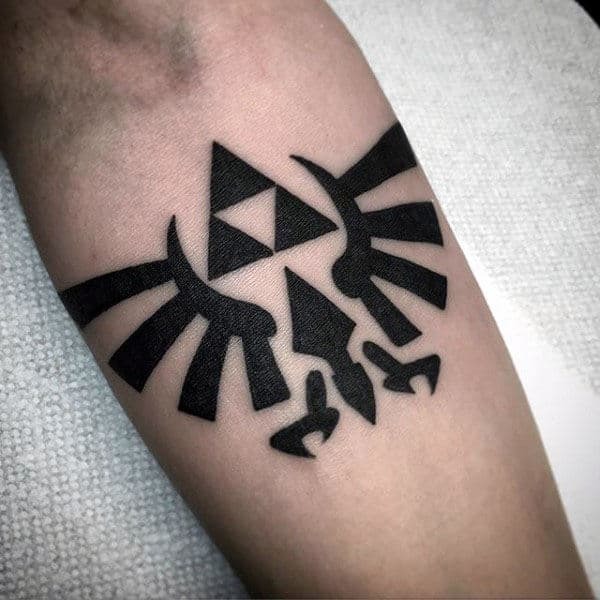 Players of the game feel a deep connection to the symbol as it develops through the game, because it reaches beyond the context of the game and can be easily applied to life. 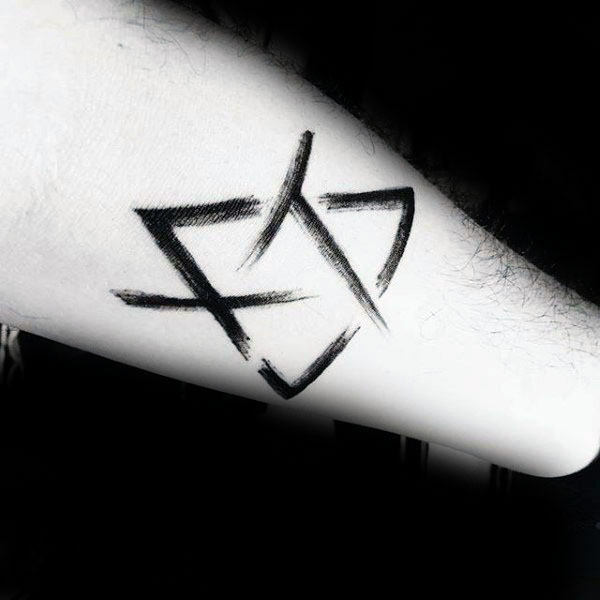 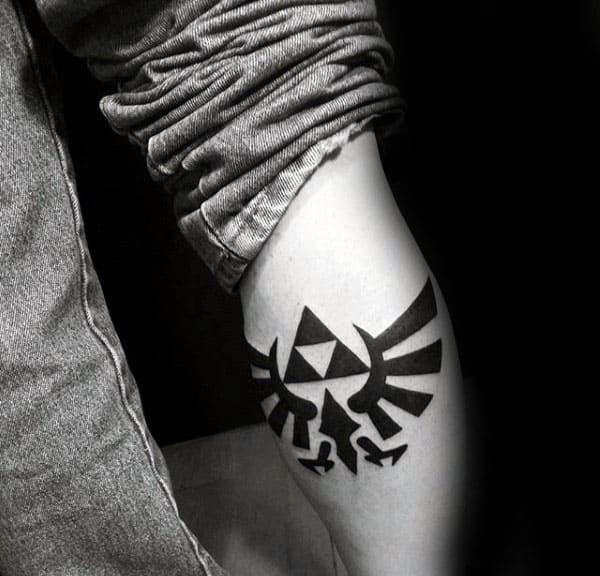 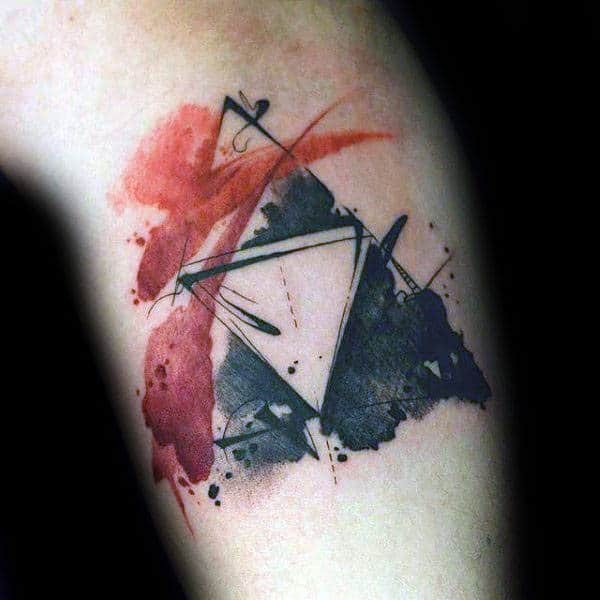 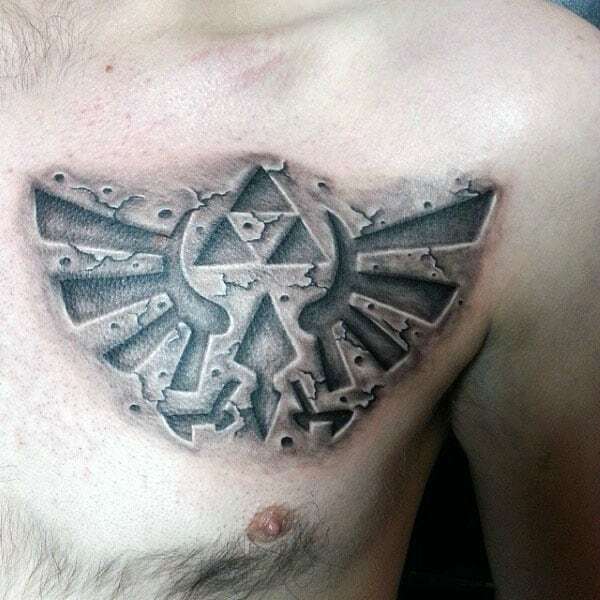 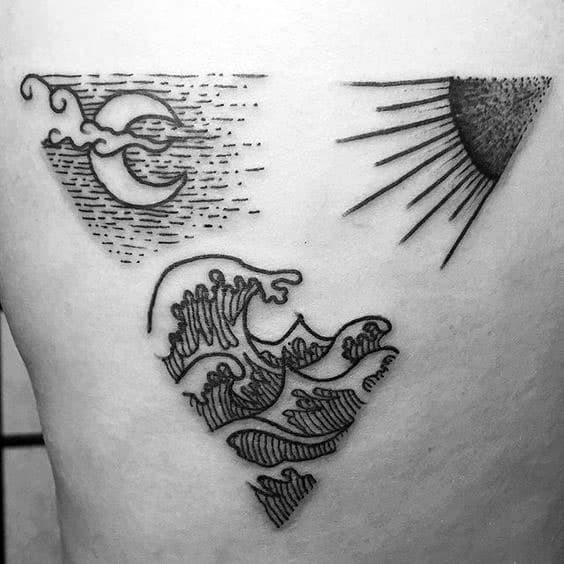 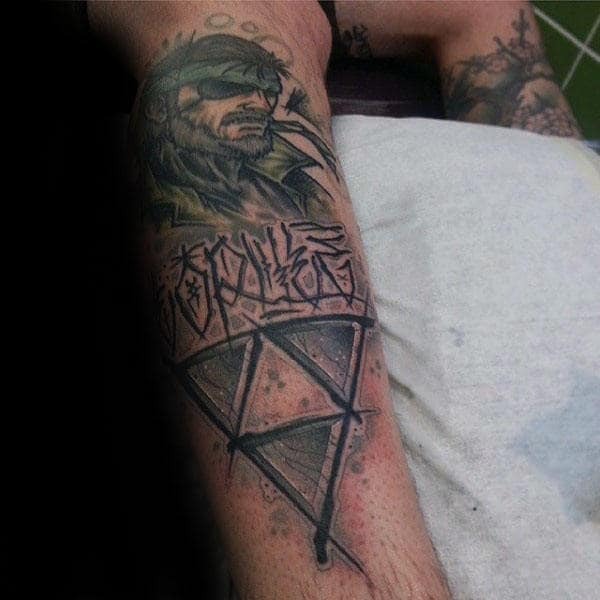 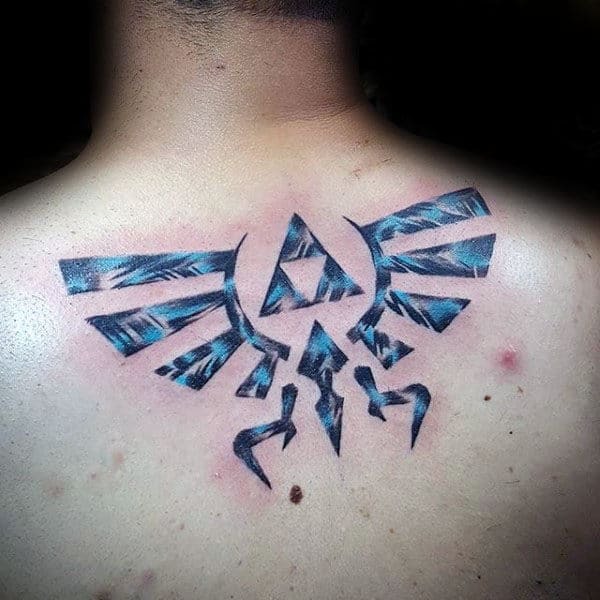 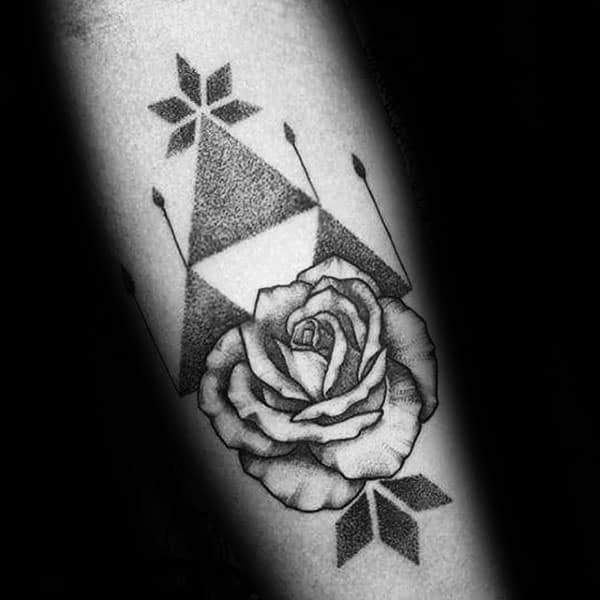 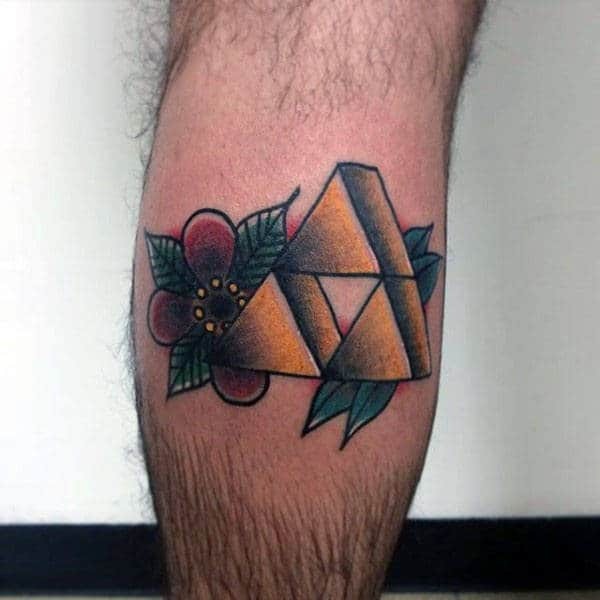 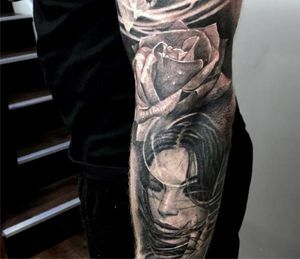 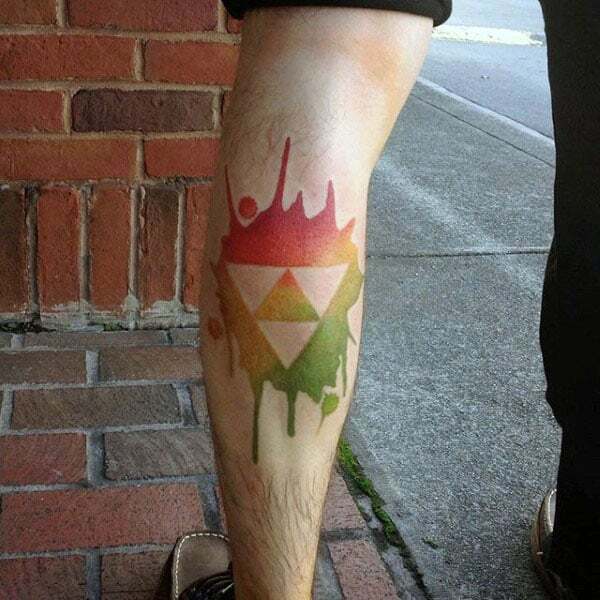 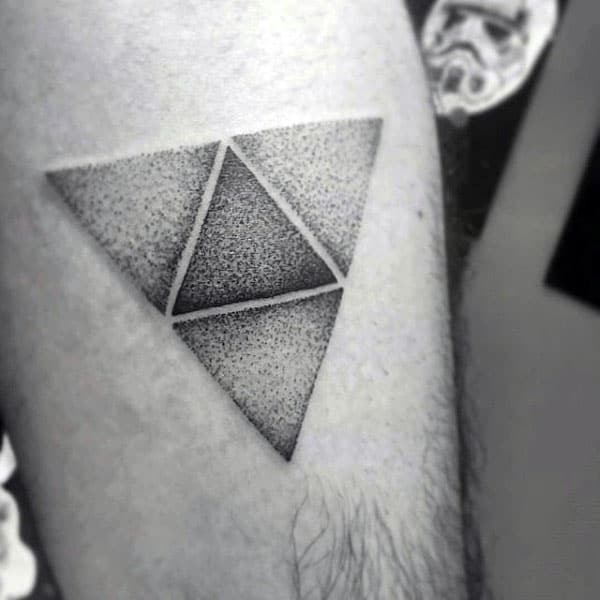 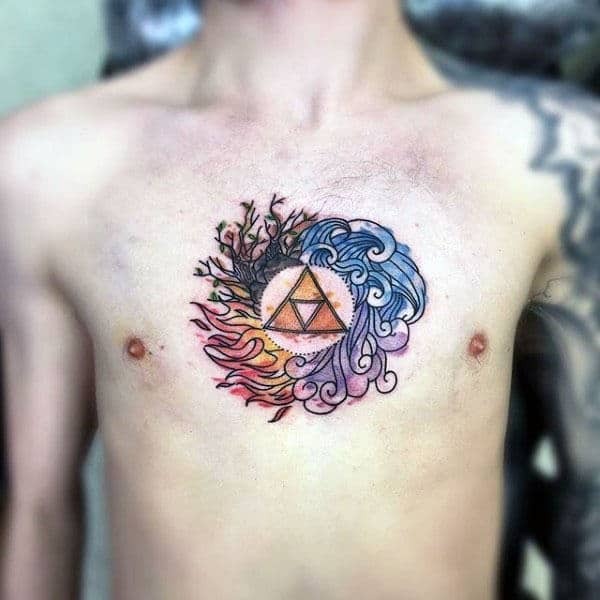 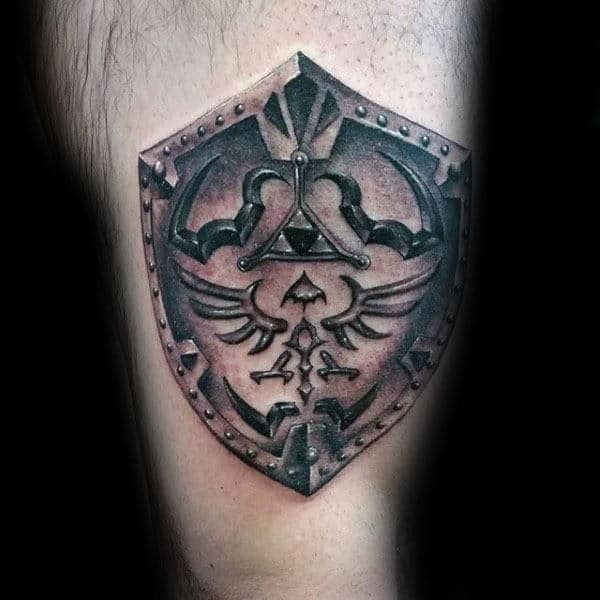 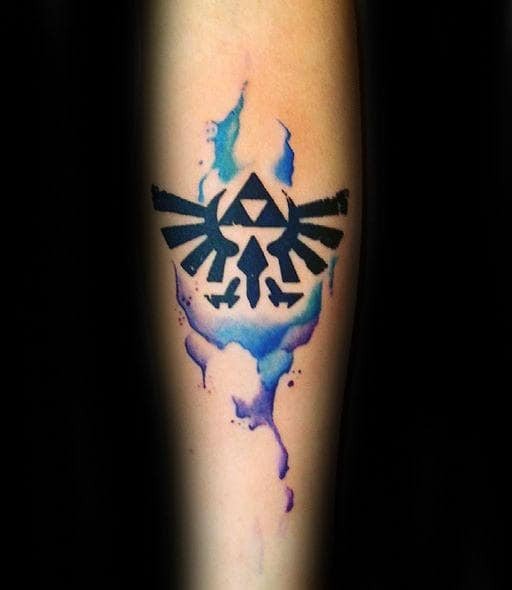 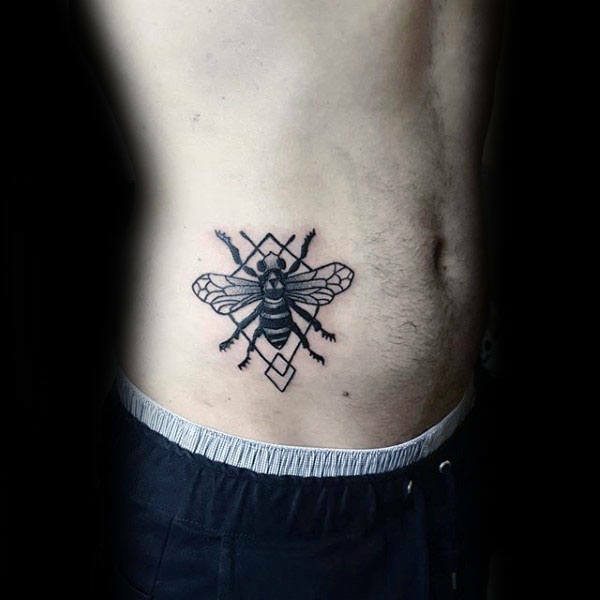 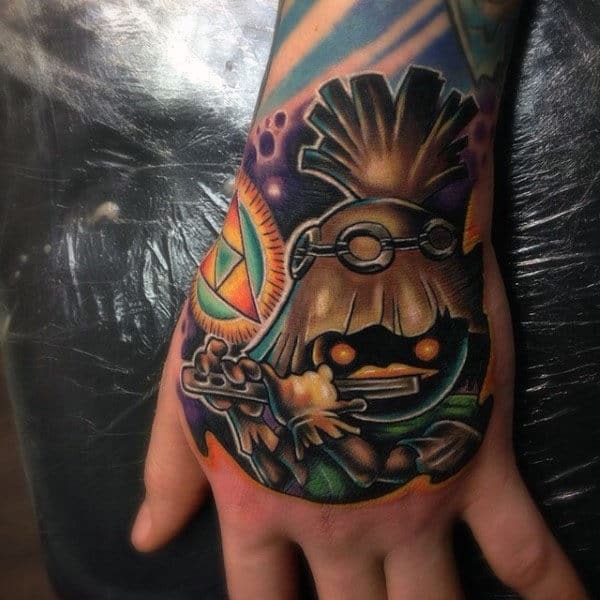 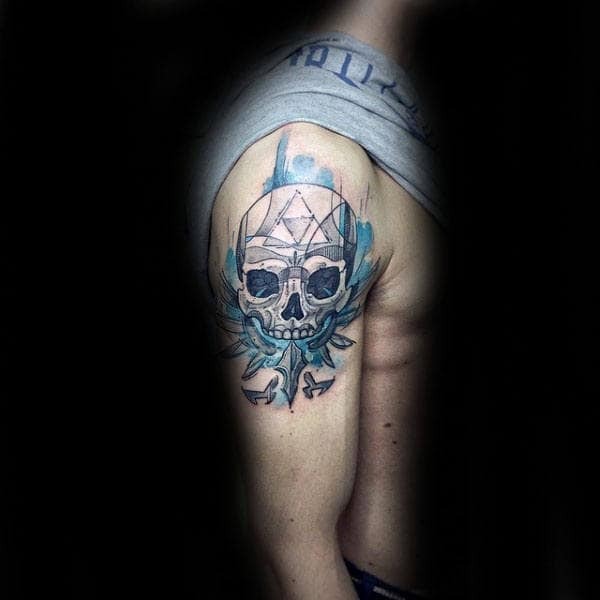 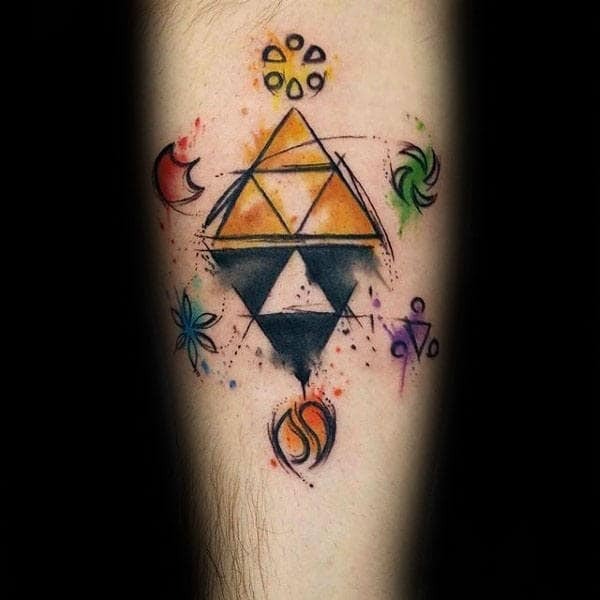 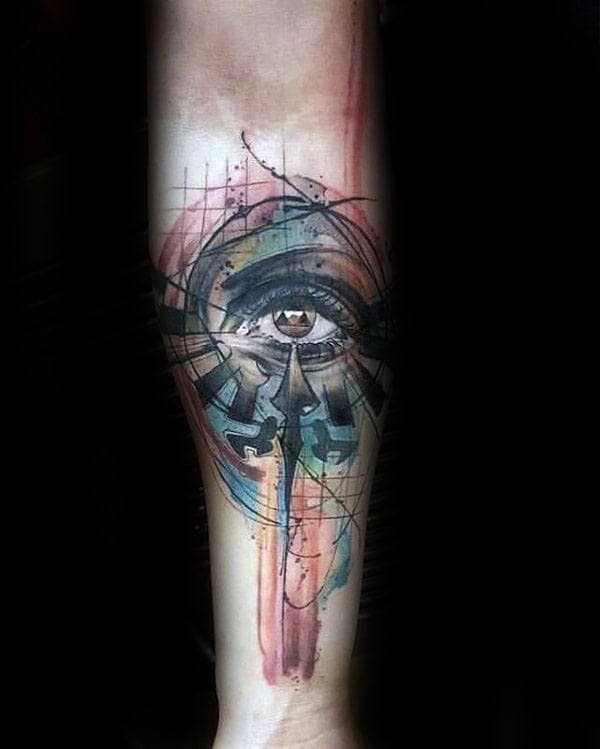 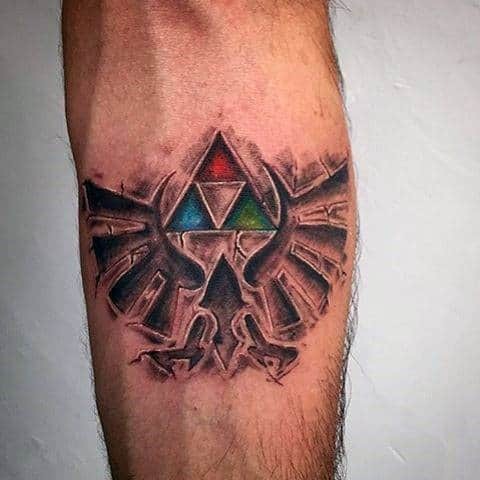 The virtues of wisdom, power, and courage are vital if one hopes to thrives in the real world, so the symbol is often taken directly from the game and incorporated into a tattoo so the player can remember those tenants at all times. 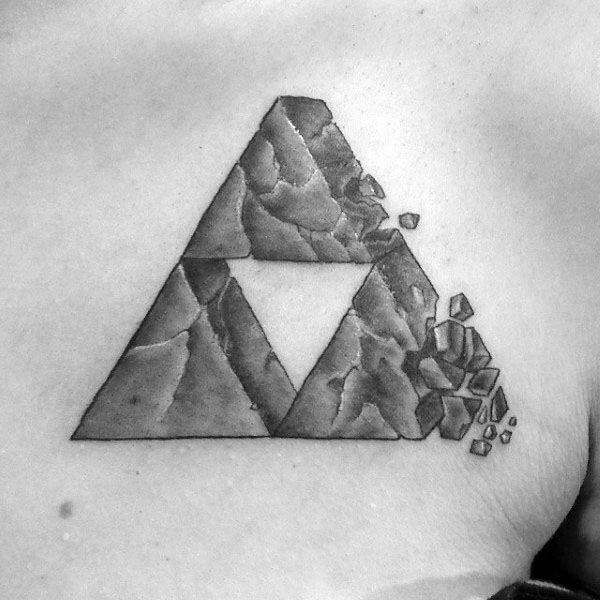 The original symbol in the game was made of golden triangles, but the symbol can be augmented in any way to be customized to the individual. 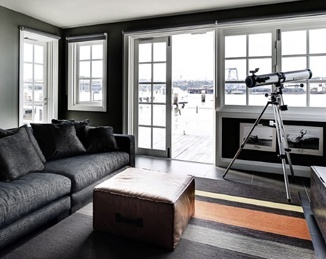 Many people add a different color profile or leave it rendered black for a more stoic effect.